Carlton United Breweries has launched “Hello Beer”, a summer marketing campaign for Carlton Dry encouraging young Australians to live in the now. 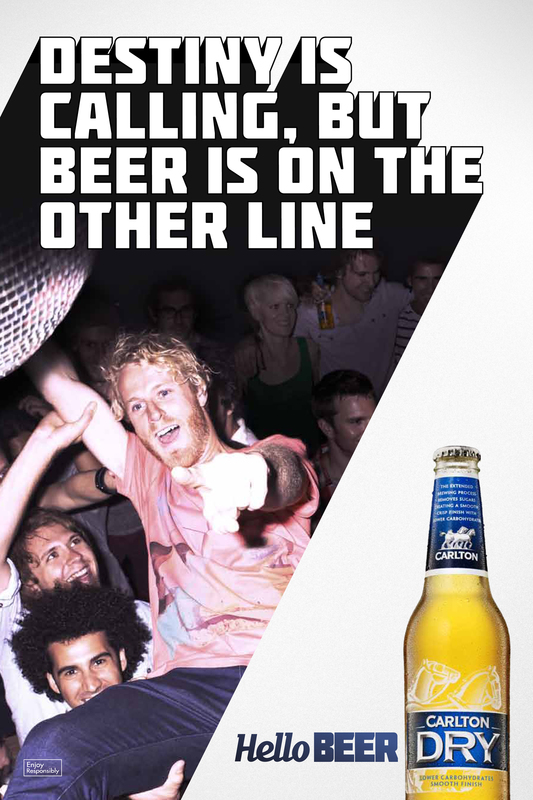 The campaign, which includes TV sponsorship, radio, print, ambient and outdoor channels, reinforces the Carlton Dry tradition of doing whatever, whenever and having an awesome time with your mates by saying hello to beer and goodbye to the mundane. 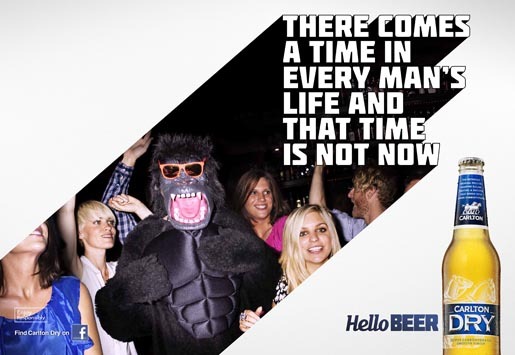 The Hello Beer campaign was developed at Clemenger BBDO Melbourne by executive creative director Ant Keogh, senior copywriter Seymour Pope, senior art director Luke Thompson, planning director Michael Derepas, planner Sam Mackisack, senior print producer Mary Darzi, senior TV producer Sevda Cemo, account manager Brendan Taylor, account director Nick Cohen, client service director Paul McMillan, working with Carlton United Brewers (CUB) GM of marketing Andrew Meldrum, senior brand manager Michael McKeown and assistant brand manager Jo-Anne Shields. 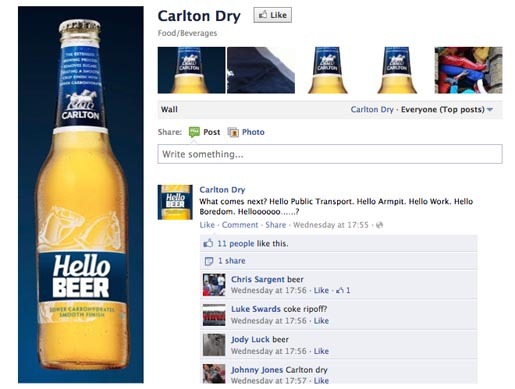 Media was handled by Mediacom, Melbourne. PR was handled by Pulse Communications.